The Russian Federation intends to occupy the Sea of Azov in the same way as it occupied the Crimean peninsula. but Kyiv will not allow this. This was stated in an interview with The Washington Post by the President of Ukraine Petro Poroshenko, the press service of the head of the Ukrainian state reports. "Russia's goal is to occupy the Sea of Azov in the same way that Crimea was occupied, which is a severe violation of international law, and we can not accept it. We are strengthening our military there and launching a case against Russia in the arbitration court, "he said. Poroshenko stressed that Ukraine has a clear legal status in the Azov Sea. "Russia has no right to attack or stop our ships that carry goods and passengers from two important ports of Ukraine - Mariupol and Berdyansk. If Russia does not stop, we have only one instrument - sanctions," he clarified. At the same time, according to Poroshenko, sanctions are needed to stop the potential danger of the Russian occupation of Azov. "If they block the ship with Ukrainian metal products from Mariupol for one day, the price of damage will be thousands of dollars," the president said. In addition, Russians are constantly attacking Ukrainian fishermen in Ukrainian waters: they are arrested, stopped and threatened by them. The President noted that this is part of the hybrid war against Ukraine. "Sanctions stop Russia's GDP growth, they stop raising the standard of living in Russia and devalue the Russian currency. The Russian leadership pays a very high price for sanctions that can keep Russia at the negotiating table and stop aggression," he concluded. Over the past three months, Russia's activity in the Azov Sea has increased significantly. The Russians do not allow commercial vessels going to and leaving Ukrainian ports to pass through the Kerch Strait without hindrance. 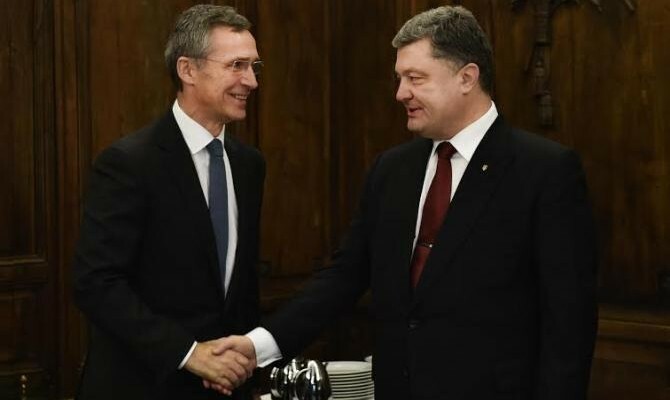 In this regard, the President of Ukraine Petro Poroshenko instructed the Minister of Defense, the Chief of the General Staff and the Ukrainian Navy to take measures to stop Russian provocations with regard to blocking the entry of ships into Ukrainian ports in the Azov Sea. The Ministry of Infrastructure of Ukraine has developed a set of measures in response to Russia's actions. At the same time, it was reported that the package of measures includes, among other things, restrictions on passenger traffic with Russia.